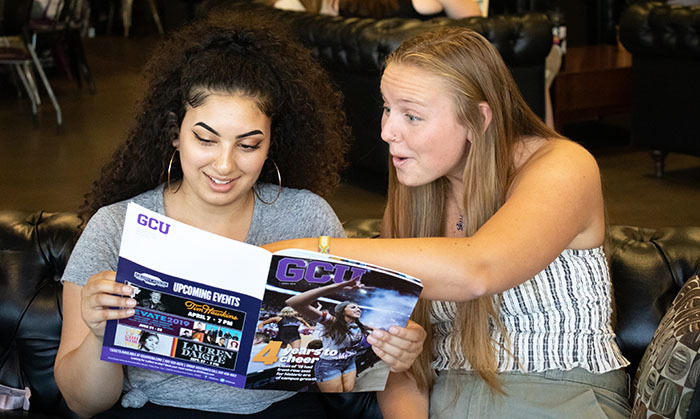 The idea for the April issue of GCU Magazine actually was hatched in 2015, when we told the stories of some of the incoming students in the Class of 2019. Now they’re graduating, and it was time to see what their four years were like. The answer: It was a head-spinning time of growth, both on campus and for the students themselves. This issue also features the University’s first graduates from its engineering program and its Students Inspiring Students initiative, a look at how GCU teaches computer programming differently, the heartwarming story of Jesse Dalla Riva‘s transformation from drug addict to graduate, and a My LopeLife piece by another 2019 grad. There’s more: what’s ahead for the GCU men’s basketball program, the increasingly important communication tool utilized by online instructors and students, and yet another heartwarming story — this one on recent GCU Hall of Fame inductee Sharky Baker. To read the digital version, click here.